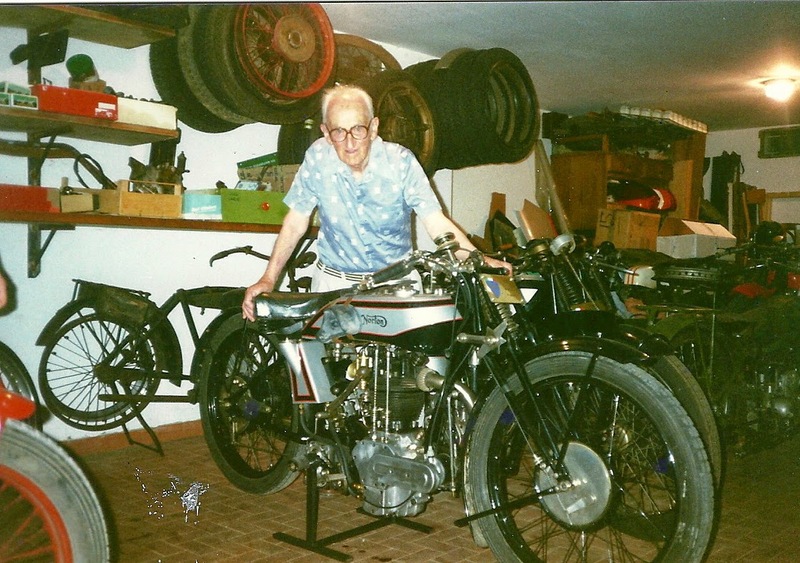 -JdK- Tino in Italy sent us these pictures of his 1927 Model 25 Norton. He bought it in 1985 in restored condition though he did rebuild the engine himself. The bike came with old documents, a “Certificato del Registro Italiano” dated 1927 and a “Libretto di Circolazione duplicato” dated 1937. Both documents list the engine- and frame numbers as they are now present on the bike. Unfortunately, the frame and engine number are identical (which is not correct) and Tino informs us that re-numbering of the frame may have been done by the Italian officials when the bike was new. Tino continues to say he has documents that suggest that this Model 25 participated in the famous “Targa Florio race” in 1927: Sanseverino retired on the second lap while in second position. Simon checked the engine number against the records and these show: 33XXX Engine Number. 26XXX Frame Number, Model 25. Magneto Number 11192. Gearbox number 91585. Webb H/W TT forks. Pannier Tanks. Despatched 19/1/27 to the Italian agents Mototecnica. The M25 probably had a CS gearbox when new. It still carries the CS type gear change mechanism but this can be made to work on an LS box with a few minor changes.